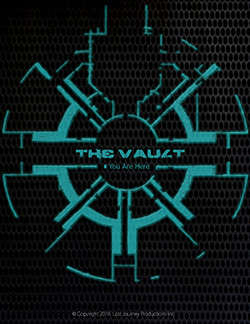 The Vault is a Post-Apocalyptic / Sci-Fi series about a ragtag group of survivors living in an underground military base known as the Vault. Buried 5 miles beneath the earth, this state-of-the-art facility is humanity’s only remaining home. This digital series will filmed in Ontario and was awarded production financing by the Independent Production Fund (IPF). An international crew of astronauts become stranded on the first lunar habitat when global nuclear war breakouts on Earth. The screenplay for this digital series with VR elements was a former Black List contender. 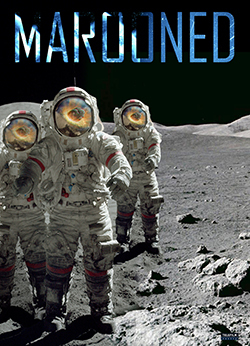 Marooned is currently in development with market interest from various digital networks and platforms including Warner Bros Digital Networks. 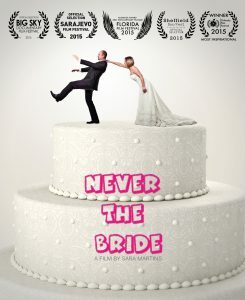 Never the Bride is a comical, sad, and deeply personal documentary where filmmaker and narrator Sara Martins seeks to answer the question of why a growing number of Canadian women past their thirties remain or choose to stay single and the declining rate of marriage in North America. The film is is available on over a dozen digital platforms including Hulu and Amazon Prime, as well as being distributed to over 8000 public libraries across North America through Hoopla Digital. 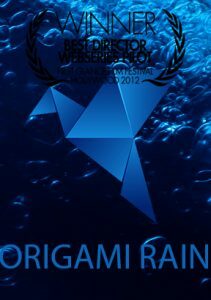 Origami Rain is an award winning web series that was created by Sara Martins and Reza Sholeh in 2012. This collection of 10 x 5 minute episodes follows the story of two teens trying to cope with the accidental death of their friend, while they decide if they should turn themselves in or continue evading the law. The series was distributed through the official website and Vimeo.